Let's talk about Real Estate. 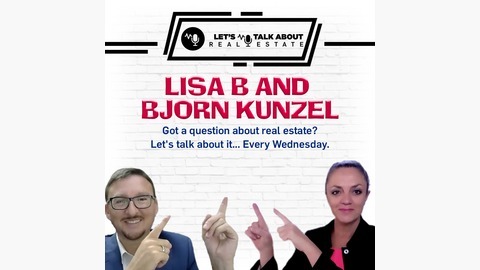 The podcast for real estate agent's everywhere. You are now part of a group of real estate agents and entrepreneurs who want to make a difference in their lives. People who are looking for ways to create hacks in the real estate profession in order to make more sales and at the same time have more time off. Agents are realising that the old ways simply aren't working for them any more. They are working far too many hours and most don't enjoy a work life balance. Get ready to explore ways to hack your real estate life. 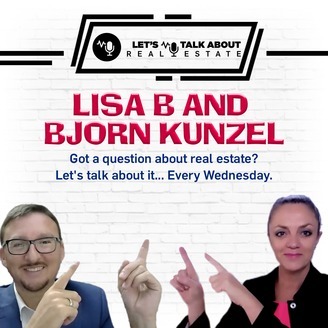 I'm Lisa B.
Glen Coutinho- Director of RT Edgar Hawthorn/Kew (Top 5 Real Estate Agent REB) gives his blunt, honest advice to Real Estate Agents that really want to succeed! Do your prospecting calls every day - If you miss out making those calls, double up the next day. Every single person you meet, make sure they become raving fans. Put everyone you meet put on a database. I asked Glen, to be a contributing author in this book as Glen has established himself as a major force in the Boroondara area, winning numerous awards and becoming widely recognised as one of the leading staff trainers in Australia and New Zealand. Glen’s success was confirmed when he was appointed to head the Channel 9 Block Campaign in 2011 and again in 2015. Claim your free copy of the paperback – Real Estate Agents What You Need To Know Now! click here. or buy the e-book on Amazon, click here.